In contrast to tabula rasa urbanism, this book considers strategies and possibilities for tabula plena — urban sites that are full of existing buildings and systems that have accumulated over time. Such dense urban sites prompt designers to work between the fields of architecture, historic preservation and urban planning, developing methods for collaborative authorship and interlocking architectural forms. 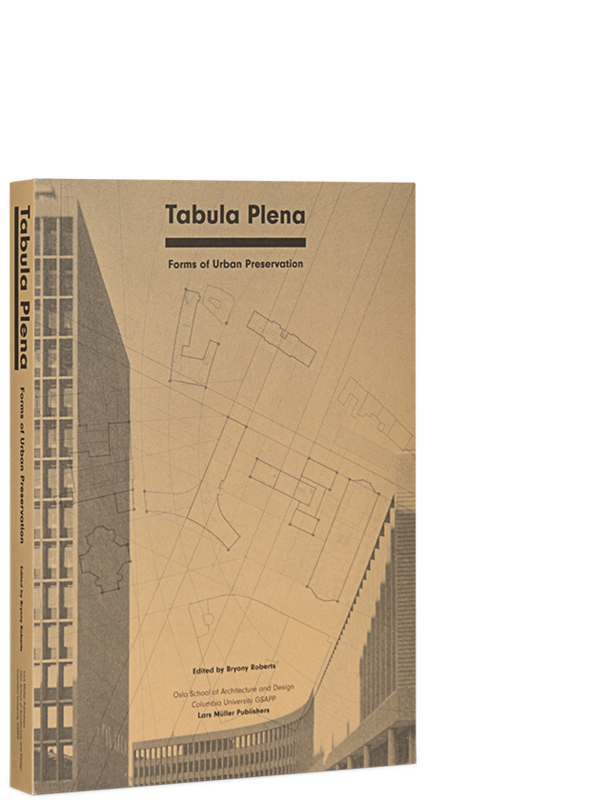 Tabula Plena asks larger questions about how we practice, teach and theorize engagement with existing architecture at the urban scale. A compilation of essays addresses theoretical questions about authorship, governance and community involvement, while selected design projects act as case studies offering a catalogue of formal strategies for architectural design. The book includes a series of discussions about pedagogical strategies for integrating knowledge from various related fields. The publication grew from a collaboration between the Oslo School of Architecture and Design and Columbia GSAPP on the planning of the national government quarter in Oslo. Bryony Roberts is an architectural designer and scholar. She earned her B.A. from Yale University and her M.Arch from Princeton University, and started her own research and design practice in 2011. She has received a Graham Foundation Individual Grant, the Rome Prize in Historic Preservation, and was featured in the Chicago Architecture Biennial of 2015.